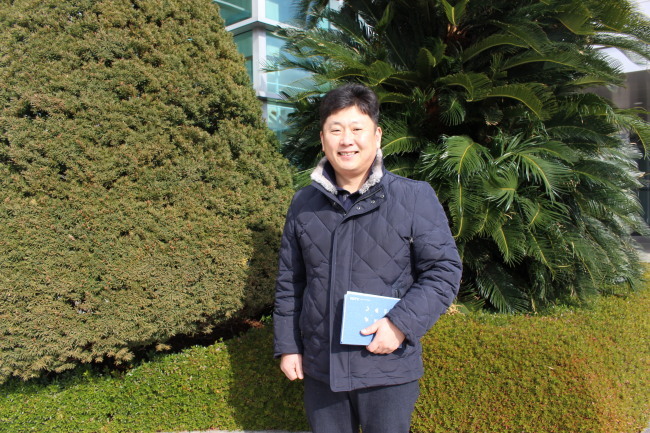 JEJU -- As an ordinary man who has lived in Korea his whole life, Kim Jung-hyuk did not have many chances to meet foreigners or multicultural families and even felt prejudiced against people of different races and nationalities. However, that changed when he encountered stories of children from multicultural families being bullied and discriminated at school. Upon learning about such incidents, he realized that such actions are not right. 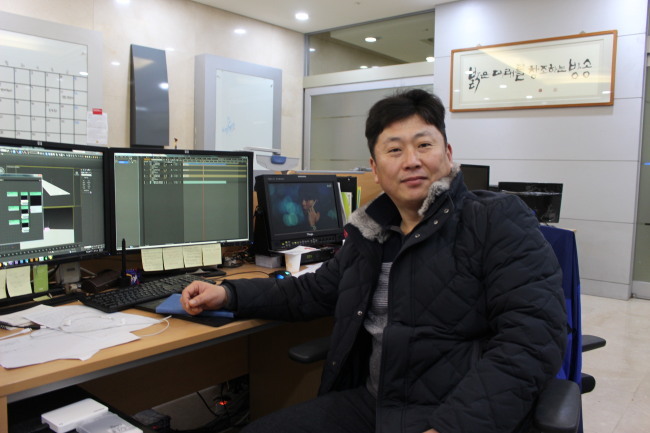 That is how Kim, a TV producer at a regional broadcaster in Jeju, came to produce “Haiphong Families,” an award-winning sitcom about multicultural families in Korea. While there have been many documentaries about the lives of multicultural families, Kim sought to add a twist by making the show a sitcom. “There have been documentaries that focus on the lives of multicultural families. But they often trap the families within the frames of sorrow, and are designed to make viewers feel sympathy toward them,” said Kim, a producer at KCTV Jeju, in an interview with The Korea Herald on Jan. 7. Aired from May to October last year, the 20-episode sitcom of the regional cable broadcaster recorded average viewership of about 5 to 6 percent in Jeju. At one point, viewership peaked to 9.3 percent, an unexpected record for Kim. “Haiphong Families” centered on true stories of multicultural families living in Jeju, from the bullying children face in schools to adults at work and the clash between foreign wives and mothers-in-law. The show, which featured three families, strove to reflect ordinary, everyday lives while being humorous at the same time. To make it more realistic, Kim cast migrant wives and children who are not professional actors. “It was not an easy choice, but I believed that it was important to have people from multicultural families appear on the show to deliver the reality,” Kim said. However, it was tough searching for people in Jeju who wanted to appear on the show and could speak sufficient Korean to read the script. With the help of acquaintances and multicultural centers, he was able to cast Ork Nary from Cambodia, Le Thi Huyen from Vietnam and Uesugi Mayu from Japan. “It is not easy for nonprofessionals to express their feelings and act. But these people, they just acted naturally as they expressed the feelings they had experienced in their lives,” Kim explained. The cast performed well even in emotional scenes, such as an episode in which a female protagonist clashed with her mother-in-law and had to cry and shout lines. “She said the tears just came out. It was an emotion that she has felt herself but kept inside,” Kim said. Having spent his entire life in Korea, mostly in Jeju where he was born, Kim had also been prejudiced against foreigners. While searching for stories, he visited a regional multicultural center, where he learned about the discrimination children from multicultural families experience at school and in society. Kim found it unacceptable that these children are being bullied and mistreated from an early age. “Shooting a show about multicultural families in Korea was a road I had never taken before, but I thought these stories (of mistreatment) should not be neglected,” he said. The program also triggered interest from Vietnam, with talks underway for a possible export of the show, Kim said. Meanwhile, Kim is planning his next program: a drama that draws on the life of a man brought up in a multicultural family in Korea. “I want to depict the life of children from multicultural families. They are Koreans who serve all the duties of the native nationals, including military service, but they are not treated right,” Kim said. In the drama format, he hopes to feature the story of a young man who was born to a Korean parent and a foreign parent. It would center on both the struggles and successes of the man.